AFF produces quite a few different transmission jacks for numerous applications. These include full rise under hoist jacks for automotive and light truck situations, as well as larger heavy truck jacks with a low profile for those situations when you just need 20 inches or so of lifting height. These heavy truck models include our very popular 3180A, which we nicknamed "The Beast" because it's such a monster of a jack. It will hold up to anything, and of course we've got it at the lowest possible price.  Come to ASEdeals for the best discount deals, and the lowest price. American Forge & Foundry Low Profile Transmission Jack Model 3171. 1200 lb. Capacity Perfect for auto shops as well as home hobbyists looking to service a car off jack stands or a low rise car lift. AFF Fuel Tank Adapter Model 3198 Allows AFF transmission jack Models 3190B, 3192B and 2195B to install and remove fuel tanks. AFF Transmission Jack Model 3160. Adjustable head for easier positioning and alignment. AFF transmission jacks for automotive and light truck use. Super heavy duty transmission jack models are also available in full rise as well as low profile applications. Don't settle for one of those cheap, inferior, no-name brands. Get one that was made to last and is rebuild-able. by a reputable manufacturer.